hot peppers [any kind] – spice, spice, spice it up! 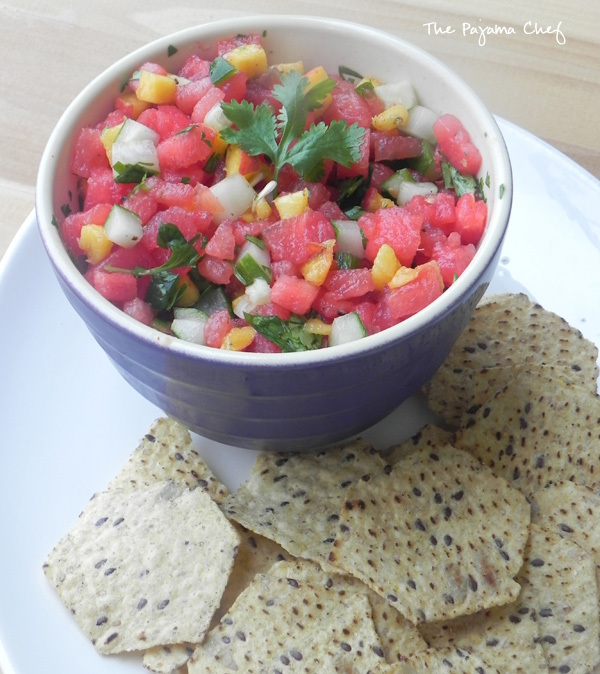 Directions: In a small bowl fold together watermelon, peach, cucumber, jalapeno, and cilantro. In a measuring cup, use a fork to whisk together vinegar, olive oil, chili powder, garlic salt, and pepper. Pour mixture over watermelon, then stir to coat. Taste and adjust seasoning if necessary. Serve immediately with tortilla chips. Would also be great over fish, chicken, or pork, with tacos, or even with a spoon! Nice salsa. Thank you Sarah. Have a good week! Spicy salsa is definitely my thing! This looks great. you’re welcome! it was fun 🙂 hope you enjoyed it too! I love sweet + spicy salsa, this sounds great! Beautiful, colorful salad! I love! I’ve been seeing lots of watermelon salsas on menus lately but I still haven’t tried one! 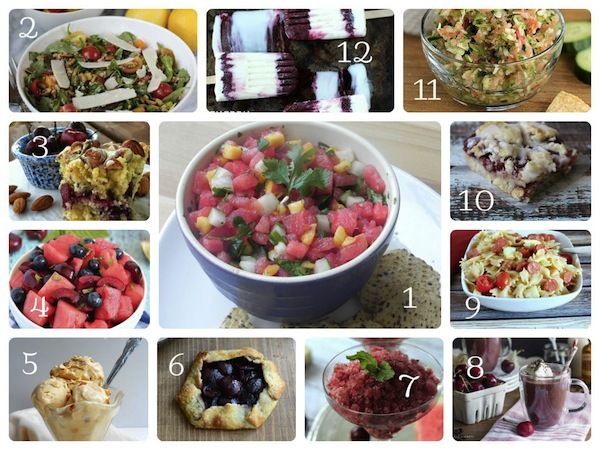 Yours looks SO good and since I love watermelon AND salsa, I bet I’d love this. Yum! 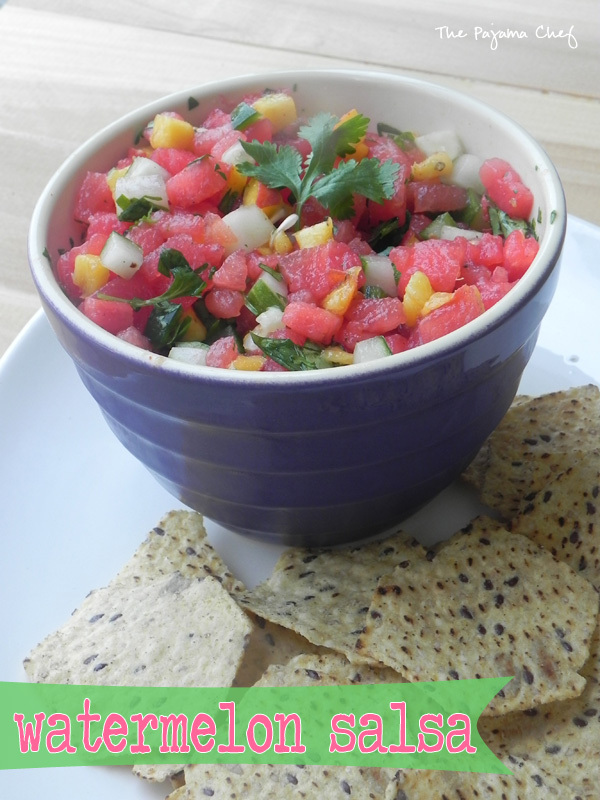 I have still never ever made watermelon salsa and this looks so crispy fresh! well, now you’ll have to try it out! 🙂 i loved it and will definitely make some again! 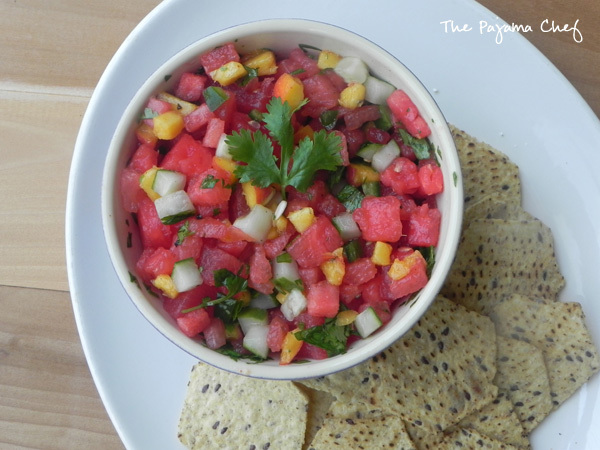 What a fun twist on a typical watermelon salad – salsa and chips instead! Love it! 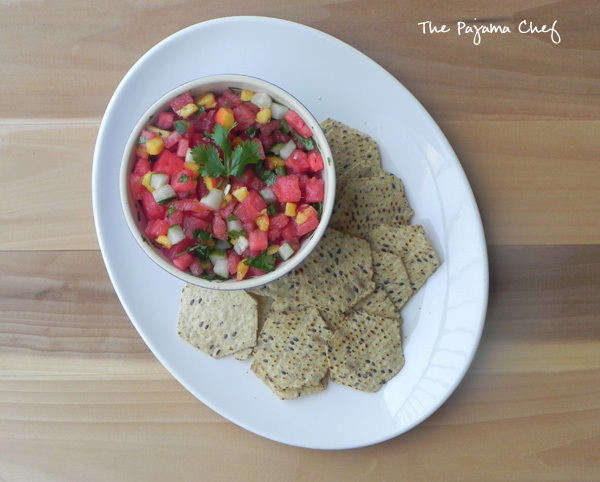 ive never made a salsa using just watermelon before… ive only ever used mango! thanks for the idea.. looks delicious! thank you, thalia! it was new to me as well 🙂 i bet watermelon plus mango in salsa would be super good! I am soooo obsessed with fruit salsas like this! I have yet to make any with watermelon so this absolutely needs to happen soon! thanks ashley! fruit salsas are so fun, aren’t they?